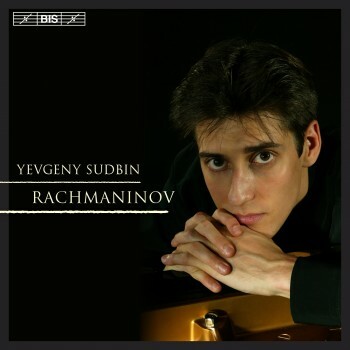 When we released Yevgeny Sudbin's début disc earlier this year, it caused a sensation. Garnering top marks in a number of international magazines, the interpretations of the 25-year-old Russian pianist were compared with those of Horowitz and Pletnev in glowing terms. Gramophone magazine made the disc (BIS-CD-1508) its Editor's Choice and described it as "arguably among the finest, certainly most enjoyable of all Scarlatti recitals." Now Sudbin - who earlier this year signed a 5 year exclusive contract with BIS - gives us the opportunity to experience his artistry in a completely different context. Taking on some of his compatriot Rachmaninov's most demanding works for solo piano - Sonata No. 2 and the less well-known Chopin Variations - he mixes them with shorter pieces in a varied programme. In his own liner notes the performer describes the works as "music which always communicates at a deeply personal level and goes to the very root of human emotion." For this recording Sudbin has taken as a motto Rachmaninov's own words: 'Music must first and foremost be loved, it must come from the heart and it must be directed to the heart.' The praise - above - from great pianist and Rachmaninov interpreter Stephen Hough - is the proof that he has succeeded in his purpose!